Electra Townie Original. 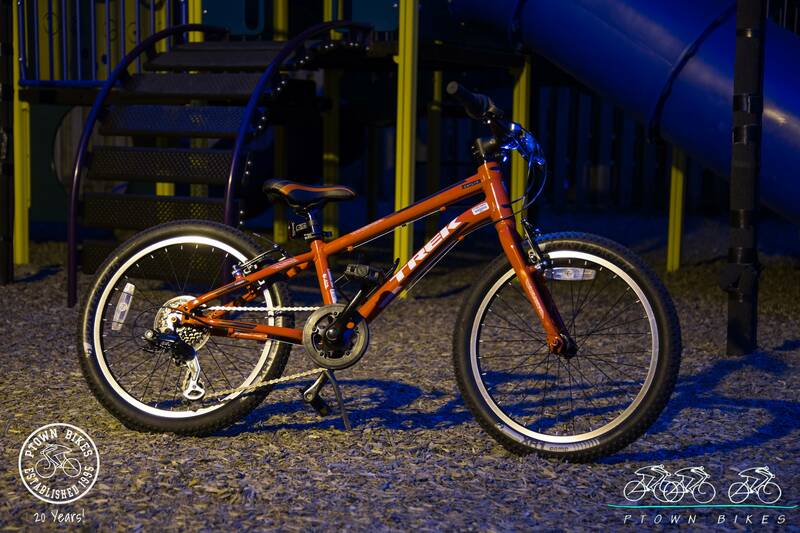 Aluminum frame with flatfoot Townie technology. Comfort Saddle. Shimano 7 speed drivetrain. 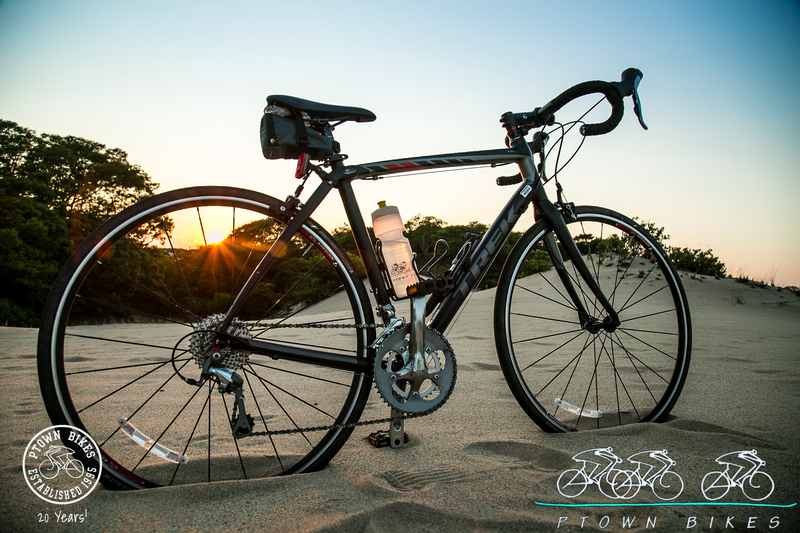 All bikes come with bottle cages, rear racks, bells, and front and rear lights. 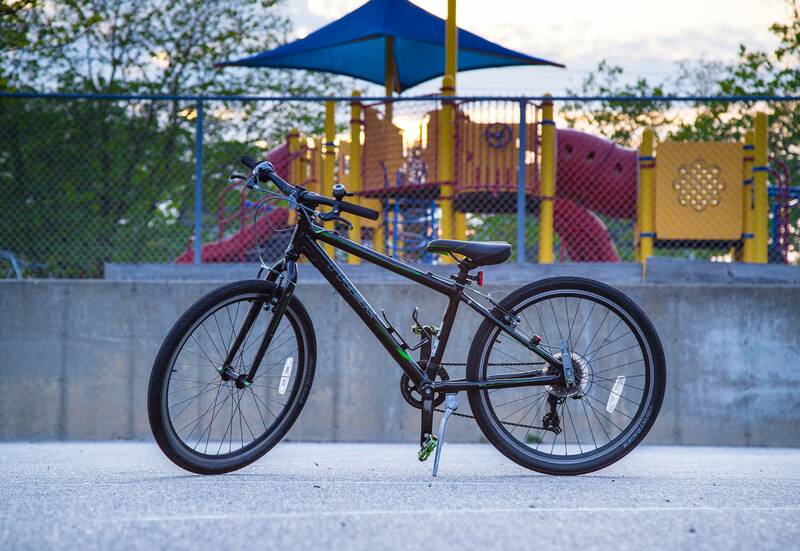 Kid’s mountain bikes range from 20” wheels to 24” wheels. They are equipped with 6 or 7 twist shifters and have hand brakes. All bikes have front and rear lights. 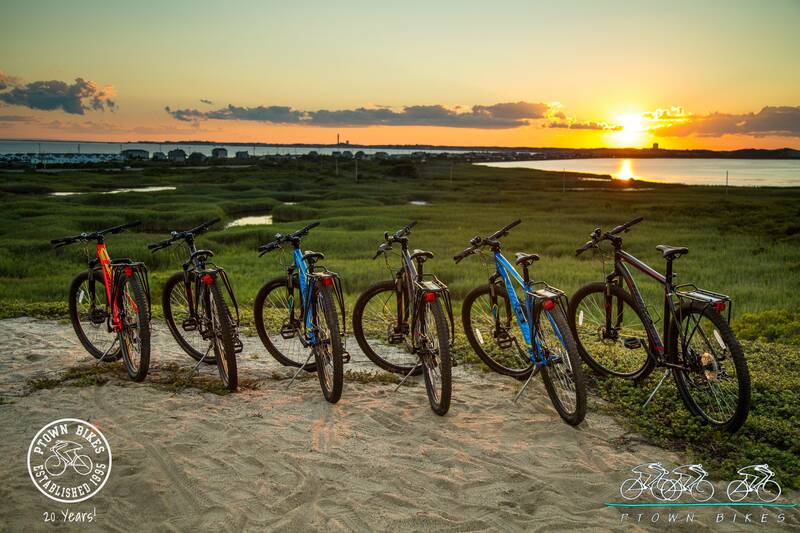 Free helmets with all bike rentals. Note: training wheels cannot be mounted on multi-speed bikes. New Trek Kids FX bikes. Alpha Silver Aluminum frame. High tensile steel rigid fork. Bontrager H2 24” x 1.5 street tires. 7 speed Revo twist shifter. 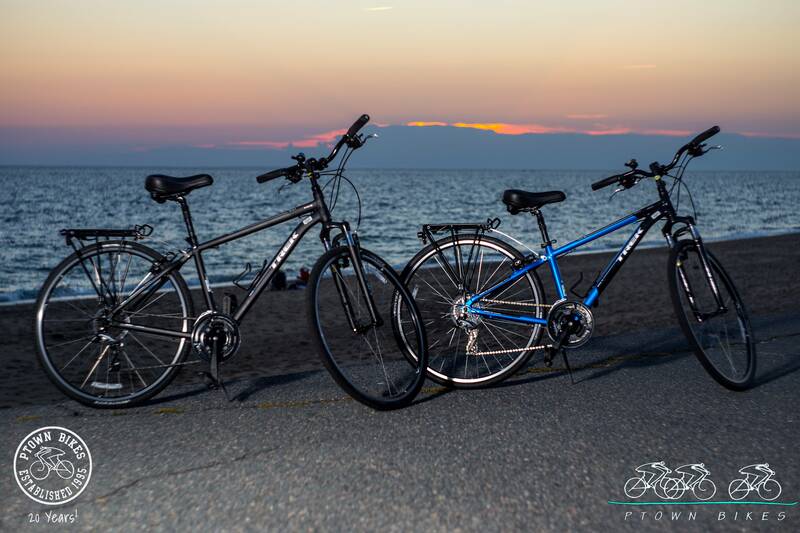 Bikes are equipped with front and rear lights. Free helmets with all bike rentals. 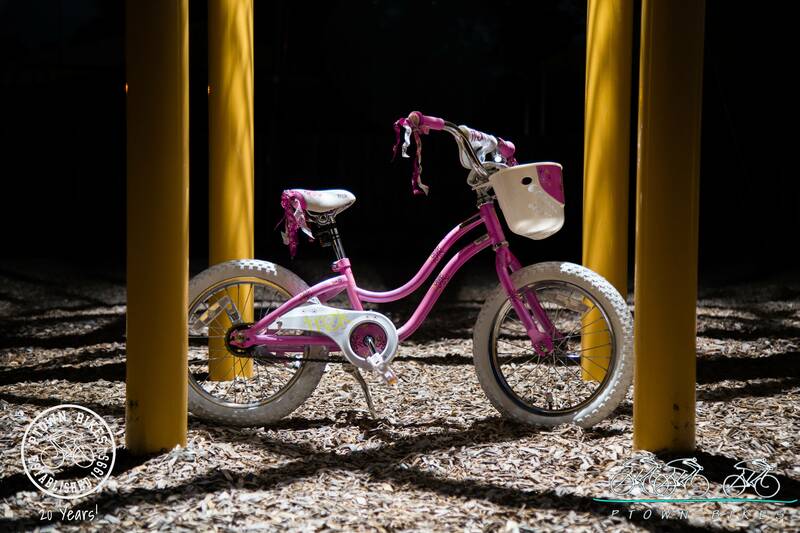 Bikes for the little tots. 12”, 16”, and 20” wheel single speed bikes with coaster brakes (pedal back brakes). Free training wheels if desired. All bikes have front and rear lights. Free helmets with all bike rentals. Also called Alley Cats and Tagalongs. 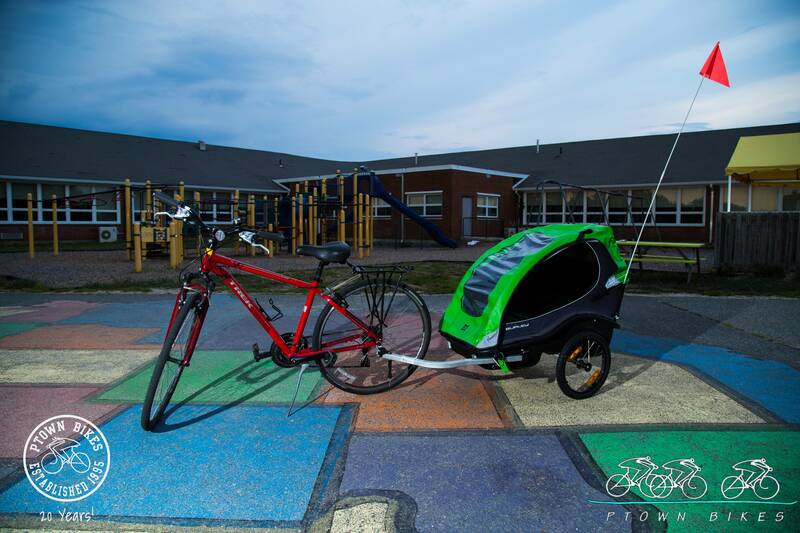 These 1/2 bikes attach to an adult Trek Hybrid and allow the child to either help and pedal or just go along for the ride. 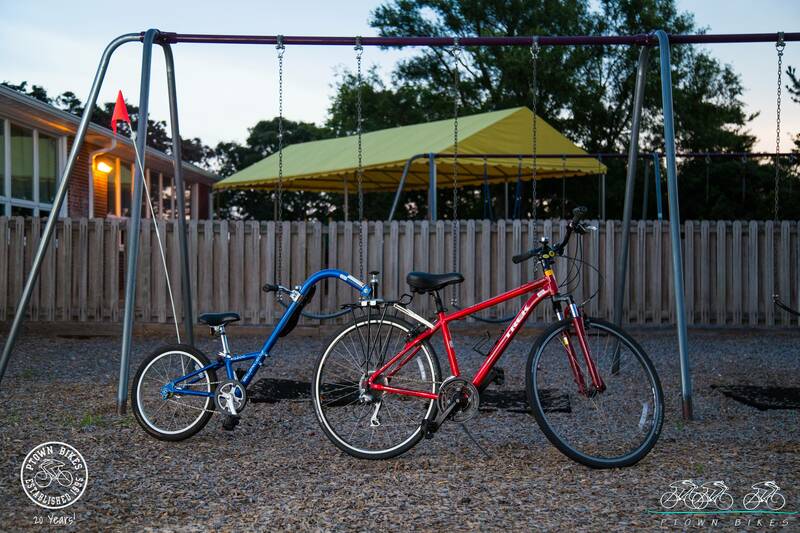 Great for inexperienced or young riders who may tire out before the adults or are not comfortable yet in the street by themselves. Since these tagalongs attach to specific racks on our bikes, they must be rented along with one of our “TREK Verve 3 Hybrids for pulling Kazoos” Safety flag included. Free helmets with all bike rentals.